Developer Downing has secured two new lettings within its landmark No.1 Old Hall Street development in Liverpool’s business district. The company has welcomed Construction Marketing Experts Ltd and litigation and employment law specialists HEDS Law to the building. Construction Marketing Experts has taken a Flexi-Office suite within the building’s third floor, while Heds Law has taken a corner suite on the building’s fourth floor. The recent refurbishment project at No.1 Old Hall Street has seen Downing update the fourth-floor wing, creating light, airy and inviting workspaces. Kate Carr, Downing’s Property Management Surveyor, said: “No. 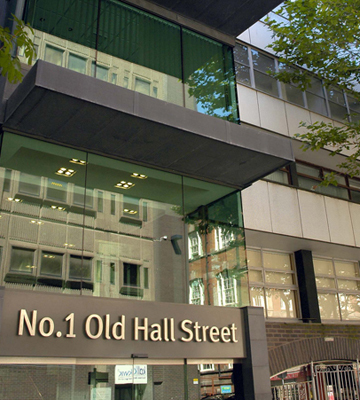 1 Old Hall Street is a fantastic base for businesses, located in the heart of the commercial district – providing easy access to clients and Liverpool’s professional community. We’re so pleased to welcome both our new arrivals to the building and hope to see them thrive from their new bases. Flexi-Office tenants benefit from secure on-site 24-hour access car parking, while Downing’s friendly team provides expert building management, with a number of streamlined, business-friendly letting options available. The company’s Flexi-Office package features inclusive monthly rents, flexibility on duration to suit each customer’s business plan, along with a short form of lease – enabling early occupation and eliminating an often expensive and lengthy legal process. All the suites are private but are delivered within clusters with a shared kitchen facility. Each unit benefits from high specification finishes and delivers budgetary certainty through a fixed all-inclusive monthly cost – which covers service charges, electricity, building insurance and rates, if required. Customers also enjoy a building managed in-house by Downing’s expert team, who are directly on hand at all times.